A recent trip to Atlanta gave us a chance to meet with executives from several publicly traded banks headquartered in Georgia, as well as some of their commercial customers and a local land broker. Seven months after the election of an administration with ambitions of pro-growth policies and reforms that renewed investor interest in U.S. bank stocks, the trip presented a good opportunity to check in to see how things are looking on the ground. Of note, our Hamilton Capital Global Bank ETF (ticker, HBG) holds an over 40% weighting in U.S. banks, with a particular emphasis on mid-caps. We generally prefer the mid-caps because we believe they combine higher earnings growth, positive interest-sensitivity (in a normalizing interest rate environment), and the potential to benefit from M&A, tax reform, and/or regulatory relief. 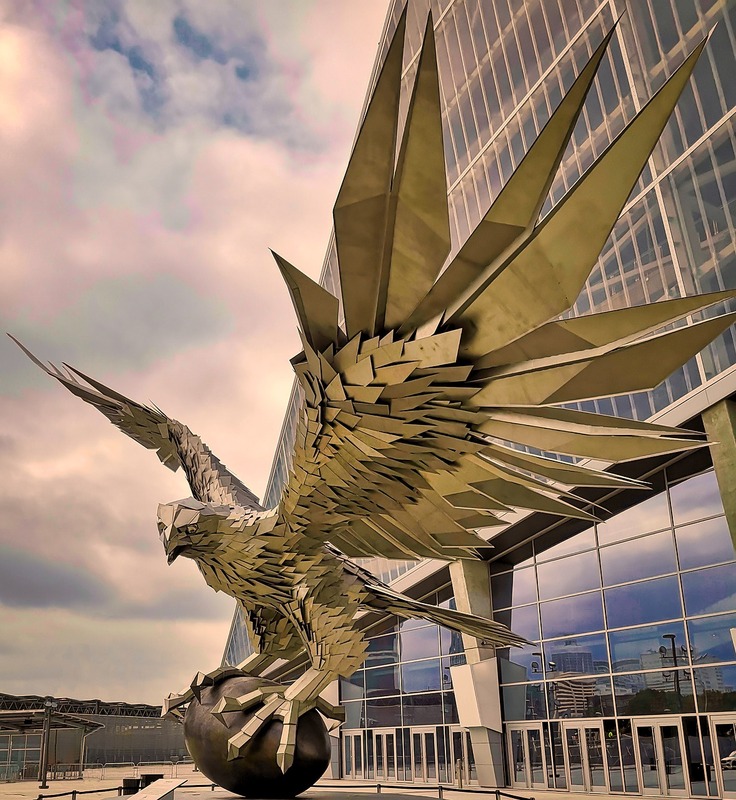 Atlanta is booming: There was broad consensus that the growth Atlanta, the U.S.’s 9th most populous metropolitan area (and 3rd fastest growing), is experiencing is very different from that it experienced in the mid-2000’s. The growth in the prior decade was largely driven by construction jobs. However, Atlanta’s commercial real estate (“CRE”) growth today is being driven by “real job growth” (read: broad and non-cyclical), stemming from considerable corporate relocations to the state. Executives pointed to Mercedes Benz, UPS, State Farm, PulteGroup as examples of companies that have in recent years set-up new U.S. head-quarters or regional offices in Georgia. 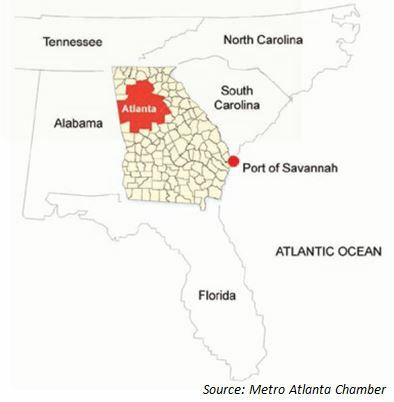 Georgia port areas – like Savannah – also seeing strong growth: The expansion of the Panama Channel (completed in June 2016) has augmented growth in port areas like Savannah (the U.S.’s largest single container terminal and fourth busiest container port), a key hub for imports/exports for the Southeast. Multi-family: Executives noted they began scaling back multi-family (“MF”) loans 18 months to 2 years ago. While no one indicated a complete exit of the market, they did note a decreased willingness to fund higher loan amounts – one regional bank CEO said where a couple of years ago they may have funded up to 75% (i.e., 75% loan-to-value, “LTV”), today it’s more likely in the 60-65% range. For those banks with operations outside of Georgia, they noted particular attention being paid to MF loans in Miami, Nashville and even Charlotte (another metro area benefitting from corporate relocations). Retail loans: Reflecting the well-established North American trend that shopping malls are changing if not dying, executives said they continue to be very selective on retail loans. Most said they will still do a grocery-anchored mall in a high traffic area, while some were more specific that they would only consider service-oriented retail loans – e.g., restaurants, theatres, gyms. Hospitality: Several banks also noted a decreased interest in funding hospitality (or hotel) loans. Risk shifting to other (largely non-bank) players? : Where the banks have stepped back from certain loan categories (multi-family), some borrowers have found willing lenders in debt funds, insurance companies and the occasional out-of-market bank. The larger banks also indicated it seemed that smaller community banks in their secondary and tertiary markets might also be reaching to gain/maintain assets. Construction seems more rational: One executive noted that conversations with developers today are much easier, more realistic than a year or two ago. Basel III capital changes around High Volatility CRE (“HVCRE”, which is a subset of acquisition, development and construction loans) that came into effect in 2015 applied a 150% risk weighting to these loans, and banks saw a lot of business flow to non-banks. With construction pricing now having improved, more than one executive noted they are now getting paid appropriately for the risk they are taking. Small Business Administration (“SBA”) loans still attractive – “as good as … seen in 25 years”: Loans made under the Federal government’s SBA program are funded by banks, but guaranteed by the government. As a result, these loans don’t tend to follow typical market dynamics; since the government doesn’t pull back during market cycles, SBA loans can be particularly popular when lending is otherwise tight. As one executive explained it, SBA is a countercyclical product that seems to take off when real estate is waning. The same executive indicated SBA yields are currently as good as he’s seen in 25 years. Mid-size banks looking at M&A opportunities, but must be right fit: One bank team expressed a hope to right size their capital this year, but stressed any target needed to fit specific criteria (e.g. no fixer-uppers; C&I lenders; cultural fit). “Discipline” seen as key. Regulatory exams ongoing, with emphasis on SBA, CRE: Interestingly, two banks we met with were in the middle of their annual safety and soundness exams during our visit. Executives from both firms indicated the exams were going well (which they attributed to a regular – once a month/quarter – conversation with their examiners). Topics of interest seemed to vary by lender: SBA, indirect auto, multi-family (in certain markets). Banking clients optimistically planning for change, but not acting on it yet: Like many anecdotal stories found in the papers, the commercial clients we met with expressed guarded optimism on the possibilities for infrastructure investment, healthcare and tax reform, and even regulatory relief (specifically, as it relates to the Consumer Financial Protection Bureau). However, for now, they wait. When asked what they would most like to see out of Washington, most agreed clarity. Until then, they are prepared to continue business as normal, and do little more than planning for possible changes. What inning is the U.S economy in? Banking clients think the game is more than half over: However, the successful implementation of reform, particularly tax, was seen as possibly putting the cycle into extra innings.